Manchester United are set to meet Leicester City in the Premier League kickoff game on Friday evening. For the first time in years, the English transfer window will be shut before the commencement of the league. Manchester United had a troublesome summer window, but their fans will be demanding nothing but the league title. Meanwhile Leicester City will be looking to cope with the exit of Riyad Mahrez. 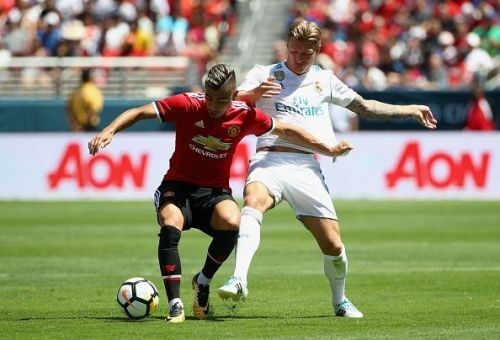 Manchester United had a poor pre-season in which they failed to score enough goals due to a lacklustre attack. Tahith Chong started the US tour impressively, but failed to capitalize on it. Many youngsters like Angel Gomes and James Garner didn't get the appropriate number of game time as Jose Mourinho was too reluctant to field 'a team of kids'. Diogo Dalot and Antonio Valencia are injured and won't be featuring in this game. Lukaku did not play against Bayern Munich, and could sit out this game as well. In his absence, Marcus Rashford could lead the line with Alexis Sanchez and Juan Mata on the flanks. Fred could also make his Premier League bow alongside Andreas Pereira. Andreas Pereira: The Brazilian has been the best player for United in the pre-season. His loan moves to Granada and Valencia have been very fruitful, now he looks set to establish himself in the United first team. He will be facing stiff competition in the midfield once Paul Pogba and Marouane Fellaini arrive. Their absence and the injury to Nemanja Matic has granted the youngster the chance to show he deserves to stay at the club and fight for his place. Alexis Sanchez: He will be starting his first full season with Manchester United after leaving Arsenal in the winter transfer window. Mourinho rewarded him with the captain armband against Bayern Munich after his efforts in the pre-season. He worked hard to score goals, but got frustrated with the lack of quality around him. 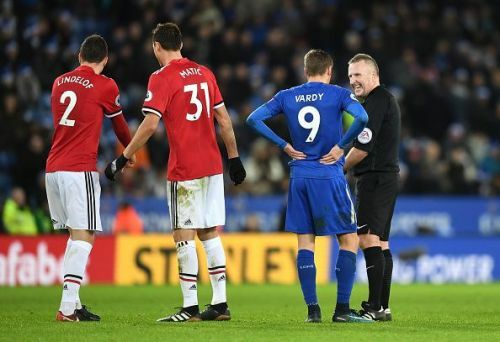 Jamie Vardy and Harry Maguire returned late after their World Cup exploits, but Maguire could start at the back as Claude Puel lacks options after an injury to new signing - Jonny Evans. Kelechi Iheanacho had a good pre-season where he scored four goals in three matches, and will be looking to start the game. 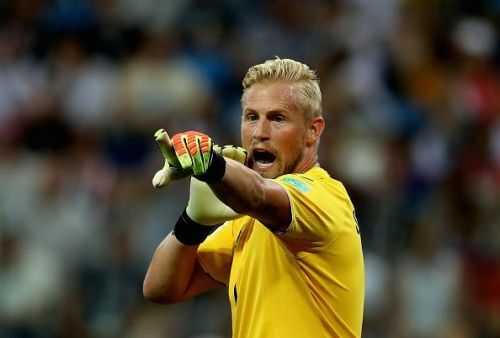 Kasper Schmeichel: Leicester City's goalkeeper has been under the radar of some big clubs in this transfer window, but his club has done well to keep hold of him. He will be an important player for Claude Puel as his team looks to finish in the top half of the table. Manchester United has some good attacking players, and he will be tested in this game. Kelechi Iheanacho: Jamie Vardy's absence from the squad will be a huge bonus for the former Manchester City striker. He joined Leicester City after some impressive performances at the Etihad, but has struggled since then to regain his form. With Riyad Mahrez's exit and Jamie Vardy returning late, Leicester City will be lacking the edge upfront. Lacklustre Manchester United may be too much for Claude Puel's team to handle.